I ran out of yet another bottle of dry shampoo last week, and I started to wonder whether using dry shampoo was becoming an overly expensive habit. I'm not sure if I use more per spray than most people -- I really douse my second-day hair in that stuff. So I wanted to know whether I could find a cheaper alternative to my Batiste Dry Shampoo, which I've been repurchasing for years. Sometimes I can get Batiste at Bed, Bath & Beyond for around $5.50 instead of the normal retail price of $7.99, so that bumps it up to 10th least expensive, up from 18th. As you can see from the chart above, Sephora dominates the upper range, though Target also sells some products on the expensive side. The bottle with the largest volume is Not Your Mother's Clean Freak Refreshing Dry Shampoo from CVS. Since I'm already here, I'll give a short review of Batiste. It works well and the effect lasts all day. I tend to spray liberally, so the white powder that shows up, I simply rub it in after waiting a minute or two. I have dark hair and I have tried the dry shampoo for dark brown hair -- I have to say that I do not prefer it. Despite the fact that the powder is brown, it is not the exact color of my hair so I still like to rub it in to blend and distribute it. What inevitably happens is that I come away with brown powder on my fingers, whereas with the normal dry shampoo, the translucent powder on my hands disappears and goes unnoticed. In general, Batiste leaves my hair a little stiffer and one could say, more volumized. Dry shampoo residue stays on my scalp all day, but I assume that all dry shampoos would do that. The thing I appreciate about Batiste is the range of options. Of the ones I've tried, I like the Blush scent the best. 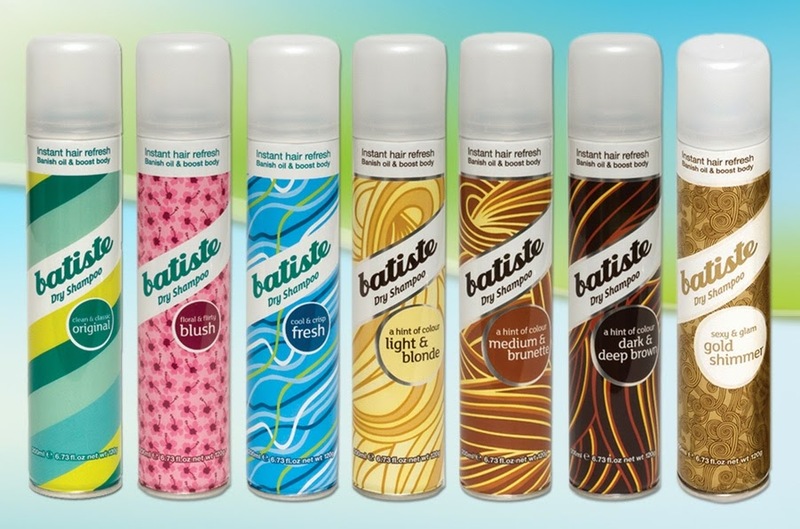 Batiste has been working well for me, but I am not opposed to trying something else. I think the Not Your Mother's dry shampoo will be next on my list.